I am thrilled that the next Changing What's Normal Candid Conversation is on tomorrow (16th April 7.30 am Australian Eastern Standard Time/2.30 pm Pacific Time USA 15th April/9.30 pm 15th April GMT). My very special guest is Jim Cathcart. You can imagine my delight then that Jim is my special guest on this webinar. "I believe that everyone has a gift, something to contribute. 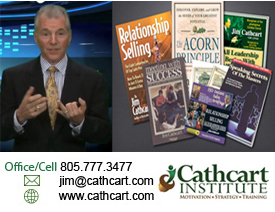 In most cases there are multiple gifts within us" from The Acorn Principle by Jim Cathcart. To watch this webinar simply go here at the appointed time.